The Division of Respirology is distributed among five hospital sites: University Health Network (Toronto General Hospital, Toronto Western Hospital, Princess Margaret Cancer Centre and Toronto Rehabilitation Institute), Sunnybrook Health Sciences Centre, St. Michael’s Hospital, Sinai Health System and Women’s College Hospital. Our faculty responds to the needs of the communities we serve and are recognized by our international peers as among the brightest stars in respiratory medicine research. With 57 full-time faculty members located throughout all five academic health centres, our scope is truly city-wide. We are a leader in world-class research that aims to improve all areas of respiratory medicine. We are world renowned for our programs in lung transplantation, sleep-related breathing disorders, cystic fibrosis and lung injury/critical care. The Department of Medicine offers more than 100 fellowships across our affiliated hospital sites. More than 10 of those fellowships are through the Division of Respirology. Celebrating outstanding achievements in teaching and research across all levels of medical education. 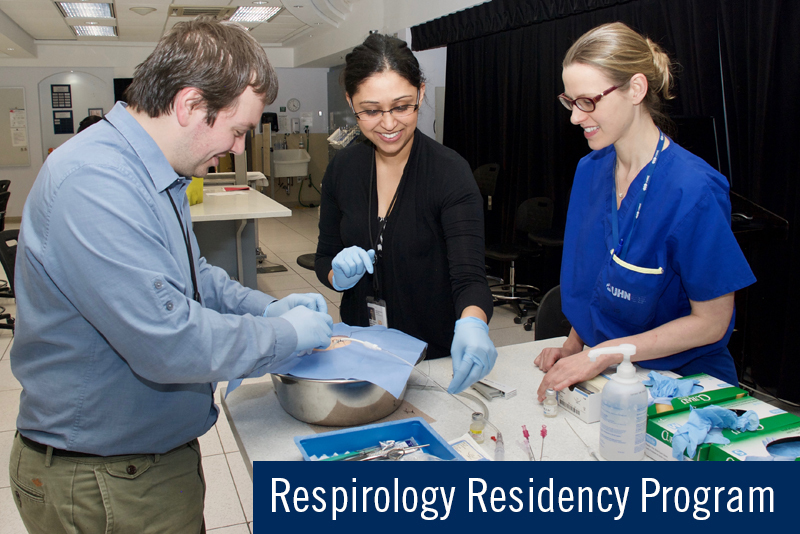 The CME Fellowship in Respiratory Medicine provides $60,000 in salary support for national or international graduates to apply to undertake further training in a respiratory-related field for one year. There will be one award per year.